Jonah was *not* swallowed by a fish, there was *never* an exodus, and Moses *never* existed, according to atheist and biblical scholar Professor Francesca Stavrakopoulou (a Professor of Hebrew Bible and Ancient Religion in the Theology and Religion department at Exeter University) who appeared on The Weekly on Wednesday evening, making outrageous claims about the Bible. Eternity asked historian John Dickson to respond to some of her comments. Stavrakopoulou claimed that Jonah was not swallowed by a fish, there was never an exodus, and that there’s no evidence for Moses being a historical figure. Should Christians be troubled by her claim that there is no evidence for these events and people? Um, no! If there’s one thing the media has taught us over the last ten years or so it’s that almost nothing that gets aired to the general public represents what mainstream scholars really believe. I don’t think the media is out to get Christians, or scholarship. It’s just that idiosyncratic and unexpected claims make for better television, especially when they’re delivered with the delight, humour, and intelligence of Prof Stavrakopoulou. Many important scholars think the book of Jonah is a deliberate parody and not a historical text. We need to confront that possibility. On the other hand, the confident claim that Moses was “just made up,” as Francesca kept saying, is to go way beyond the scholarly view. There are, of course, scholarly questions about all these things, Moses, Jonah, and so on. I mean, many important scholars think the book of Jonah is a deliberate parody and not a historical text. We need to confront that possibility. On the other hand, the confident claim that Moses was “just made up,” as Francesca kept saying, is to go way beyond the scholarly view. Is the search for archaeological evidence the best way to approach the Bible? Everyone working in this area knows that absence of evidence is not evidence of absence. I often say of New Testament history that today we have less than one per cent of the archaeological and literary remains of the first century; 99 per cent is lost forever. We can make judgements based on the evidence we do have, but we cannot make firm judgements based on a lack of absence. We might not have corroborating evidence for many Old Testament reports but we do have the Old Testament reports themselves. These count. This basic principle is even more important for Old Testament history, especially for anything older than 1000BC. For this period there are very, very few literary and archaeological remains. It is true to say that the evidence outside the Bible for Moses and the Exodus is slim or non-existent, but our evidence for almost everything of that period is slim or non-existent. But more obviously, the Bible itself cannot be dismissed as evidence. We might not have corroborating evidence for many Old Testament reports but we do have the Old Testament reports themselves. These count. To say that these don’t qualify as evidence is to engage in something other than the discipline of history. Is this how you would describe the New Testament? Francesca claimed to “love the Bible” but when asked by Charlie Pickering which bits she would edit out, she replied “the New Testament!”, hardly the words of someone who loves the Bible. Her specific claim that God is absent in the New Testament is just bizarre, as most Bible readers will agree. The New Testament is where the God of the Old Testament really turns up! Sure, God appears a few times in strange ways in the Old Testament—to Abraham by the great trees of Mamre, to Moses in the burning bush, to Daniel’s mates in a furnace in Babylon—but the New Testament opens with four whole biographies of God incarnate. Most New Testament scholars would say that Paul, more than any writer in the Bible, develops a doctrine of God’s free grace and love. As an atheist, Stavrakopoulou doesn’t believe any of that, of course, and so chooses to highlight the bad news—which she also doesn’t believe—but I find it a pretty elitist position. Stavrakopoulou’s further claim that Paul’s letters offer a morbid view of humanity’s sin and wickedness is really unfortunate. Most New Testament scholars would say that Paul, more than any writer in the Bible, develops a doctrine of God’s free grace and love. As an atheist, Stavrakopoulou doesn’t believe any of that, of course, and so chooses to highlight the bad news—which she also doesn’t believe—but I find it a pretty elitist position. It’s okay for comfortable biblical scholars in the West, like her or me, to ‘tut tut’ Paul’s idea that human beings have all sinned and fallen short of the glory of God, but for most people through most of history, this idea has explained so much of the evil surrounding us, from the despotic regimes of Rome to the scourge of human trafficking today, and, yet, within Paul’s doctrine of grace, even the worst sinner found hope of redemption. How do you describe the relationship between truth and the Bible? It’s almost as though Stavrakopoulou needed viewers to think there are only two options: either you’re a blinkered fundamentalist who takes every word of the Bible literalistically, or you’re a sophisticated seeker after truth, like her, and you dispense with the Bible’s claims as mostly “made up” by “people with daddy issues,” as she said. That’s too simplistic. Between these two poles there is a world of interpretive options, including accepting that the different literary styles in the Bible—poetry, parable, apocalyptic, and history—all need to be read differently, with due attention to all the relevant historical background. God’s truth comes in many forms. He’s as happy communicating through metaphor in the Psalms as he is through straightforward historical narrative in the book of Acts. 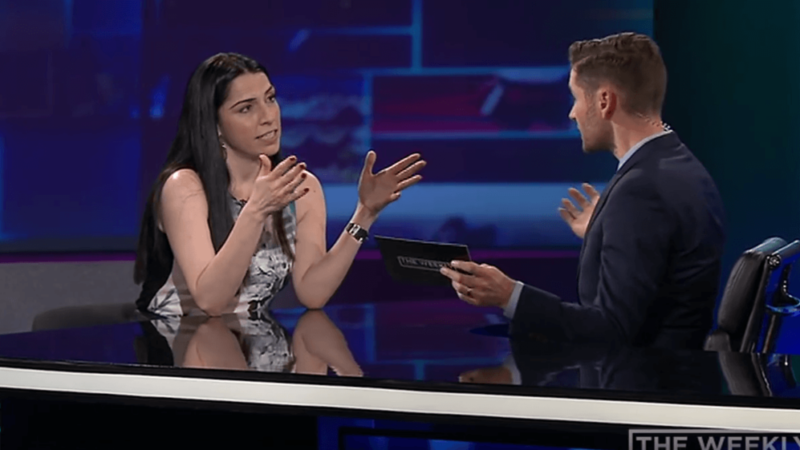 I know Prof Stavrakopoulou was on live television delivering her message with humour and flair, but in my opinion there is no excuse for an informed biblical scholar, which she certainly is, describing the debate in such a two-dimensional way and then trying to pass off her idiosyncratic opinions as representative of the scholarly mainstream.